1.1. All purchased items are non-refundable as they are instantly delivered upon purchase. We document records of all orders, transactions and ip addresses. 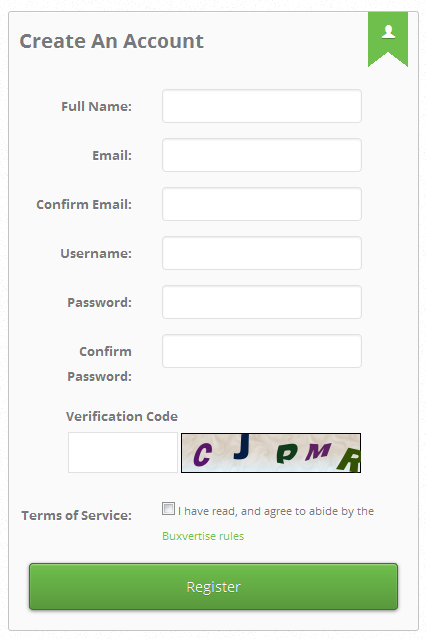 We also make the terms of service visible within every page of the website. 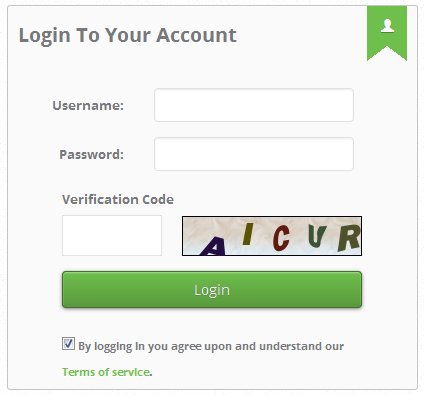 You also agreed to these terms upon registering and everytime you login to the site as shown; register page and within the login page. 1.2. In case user opens dispute against trafficdeep for a purchased item, it will lead to immediate account suspension and your ip being banned on the server. "PayPal purchase protection is not applied for intangible items/Virtual goods according to 13.3 of their user agreement." 2.1. Account is not transferable. 2.2. You can only have one account. Any attempt to create more than one account will lead to the termination of all of them. 2.3. Your email addresses will not be shown or sold under any circumstances. 2.4. Users using false information, including full name, when registering or changing their personal settings will have their account suspended. 2.5. Inactive accounts are removed after 90 days. Account termination is irreversible and all balances will be forfeited. 2.6. Since your password is to be kept secret, we do not have access to view your password. If you forget your password you will be sent an automatically generated password. In the event of someone hacking your account, we hold no responsibility. Keep your information secure. 2.7. We reserve the right to suspend accounts sending direct/ non refferrer traffic as we have no way of determining if it is genuine. We will send you an email first as a warning. 2.8. Refrain from sending misleading emails or emails stating they are from us. 2.9. Do not abuse the live chat/forum as it can lead to being banned in the chat or even account suspension. We may also delete all your forum posts in the event of swearing, slander, abuse or spam. 3.0 Do not try cheating the cash icon game as it can lead to a suspension. 3.1 Do not use auto surf programs to promote trafficdeep. 3.2 Do not add more than 100 banners when using our banner advertising. We reserve the right to delete banners if your adding too many within the system. This ensures all members have a fair chance when it comes to banner advertising and members are not seeing the same banners over and over again. Abuse of this can result in permanent account suspension. 3.3 Do not bring bots or automated accounts into our system. Once caught you will be permanently suspended. 3.4 Do not use smartphones to click ads it can lead to suspension. You can use smartphones on other areas of the site though. 3.5 We do not allow refback referrals and this will lead to account suspension. 3.6 You must login atleast once every 60 days to keep your account active as accounts with 60-90 days of inactivity/no balance with 100+ clicks on the anti cheat ad may be deleted. 3.8 We reserve the right to delete accounts using fake/non existant email addresses. 3.9 Cheating the Daily Raffle or Icon can result in a suspension. We will only allow the same winner once within a ten day period. 4.0 You must have a verified Paypal account in order to purchase advertising. 4.1 Inactive accounts are deleted after 90 days. 3.1. Every one of your referrals, as users, must have a unique email address. 3.2. You must not send unsolicited emails or force anyone in any other way into becoming your referral. You also cannot use any service that attempts to sell you referrals. We will verify such incidents and they will result in account termination. 3.3. You can only rent referrals when they are available and within the limits of your current membership. Having more referrals than the allowed amount will result in the deactivation of the earnings from all referrals. 3.4. The clicks made by your referrals will be credited to your account instantly if you have met the click requirements for the previous day. 3.5. The amount of referrals is limited based on the referrer's membership. The users can see the limit in the referrals listing page. 3 .6. You will receive money when your referrals click on all advertisements except for ads in the trafficdeep ads section. 3.7. Auto recycle only recycles referrals that have not made a click since the date you rented them. 3.8. The promotion of your referral link through a wix page is not allowed and can result in account termination. 3.9. We reserve the right to ask members to promote through referral links only when we think promotions may be suspicious or we can not determine the quality of the traffic being sent. 4.0. Do not use PTSU (Paid to signup). These referrals are low quality and often bots. 4.1 Do not abuse our message downline feature as it can result in a suspension. It should be used for welcoming members and not for spamming other programs/links to them. 4.2 If the site is in maintenance the most we will compensate for clicks on that day is the base value which is 0.001 and this applies to all membership levels. 4.2. We do not tolerate racism, sexism or abusive comments from our members. Debates and discussions are fine, however we will not tolerate any rude attitudes, insults, meaningless inflammatory posts towards either our members or trafficdeep Team. This includes within the forum, chat and support tickets. 4.3. All kinds of publicity, attempts to get referrals, money offers/exchange/requests and the offer or request of services are prohibited in Forum posts/topics. Spam in our Forum with nonsense posts/messages, duplicated topics, illegal content, sharing email addresses, social website links and instant messenger IDs is also prohibited. 5.1. Each attempt, in any way, to hack into the system will be logged. 5.2. You can't use anything that automates tasks or clicks advertisements for you, including, but not limited to any software, plug-in, script or auto-clicker. 5.3 We use all available proxy blockers and anti-cheat systems and methods, each attempt of hack will be reviewed and monitored. 6.1. All payments will be made via Payza, PayPal, SolidTrustPay or Neteller. 6.2. The minimum amount paid is $10.00 for all members. From the amount paid, a fee can be deducted depending on the payment processor you use. 6.3. Payments will be processed within 3 days. 6.4. Deposits are connected to cashouts and you must cashout using the last processor you deposited with. 6.5. Your payment processor must be verified. 6.6. User's full name is required for the payment processing. 6.7. trafficdeep may require verified Paypal accounts for certain members who we think have questionable account activity. 6.8. We reserve the right to limit payouts to processors you deposited with. Meaning if you deposited with Payza you must cashout using Payza. 7.1. Payments made to trafficdeep do not need to be made from a verified payment processor account, with the exception of PayPal. All payments made through PayPal must be made from verified accounts. If the PayPal account is not verified, the payment will be denied and the amount refunded to you. 8.3. All suspended accounts will be archived and you cannot register using the same user name or email addresses. 8.4 Using of any kind of auto-clicker device, proxy or what so ever cheating method is prohibited. It leads to suspension. 8.5 The use of auto exchanges can result in suspension. 8.6 Cheating the Cash Icon game can result in suspension. 9.1. We are not responsible for any losses and/or damages of any kind arising out of the relationship between you and our program. 9.2. trafficdeep reserves the right to modify the Terms of Service at any time. 9.3. trafficdeep is not a investment program nor is it a get rich scheme. The earnings you will make at trafficdeep depend on your skill level and strategy that is being used. © 2018 | Plickify Online Service LLP | All rights reserved.